Google My Business is where most of the action is at in the local space. 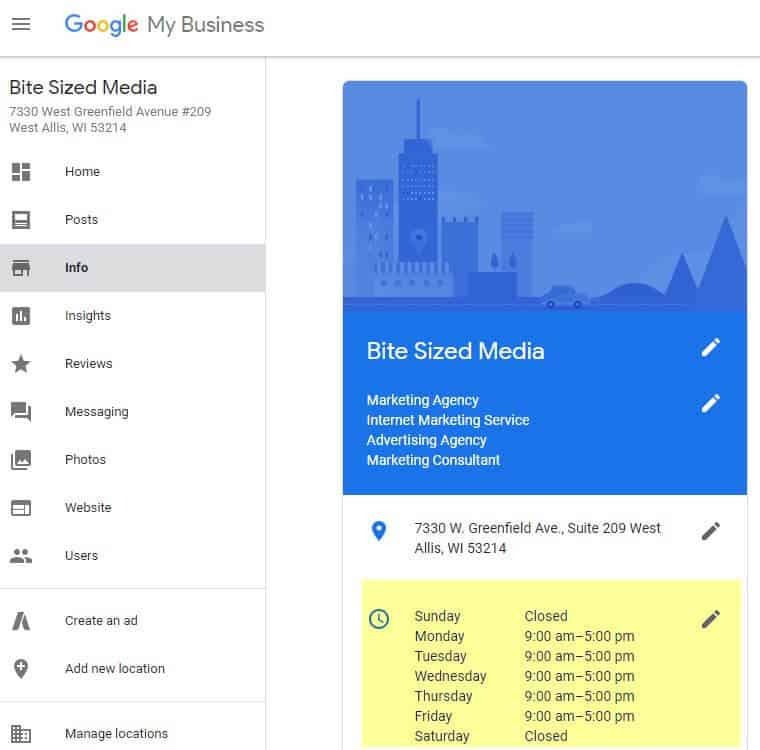 Google any location-specific query on your desktop, phone, or tablet and you’ll get a Google Map pack result with Google My Business listings 9/10. Sadly, too few small business owners take advantage of this free, information-rich marketing tool offered by Google – either because they don’t know about it, or don’t make the time to address, leaving paying customers on the table. 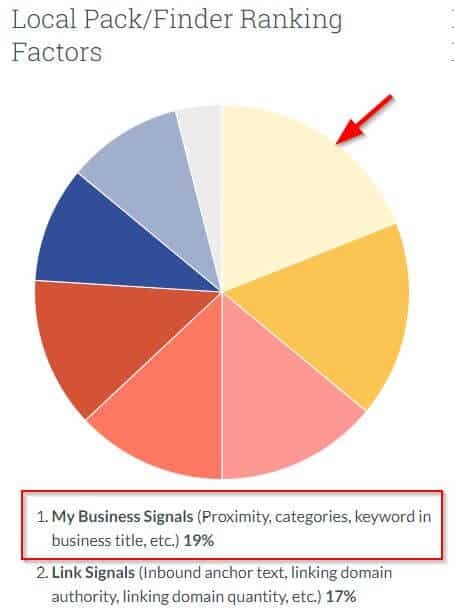 Well, lucky for you, we’re giving you five actionable tips that you can implement RIGHT NOW to make a better optimized Google My Business listing that will not only give accurate information about your business to Google and searchers, but hopefully bring you some more local customers through the doors. This one is often forgotten about. 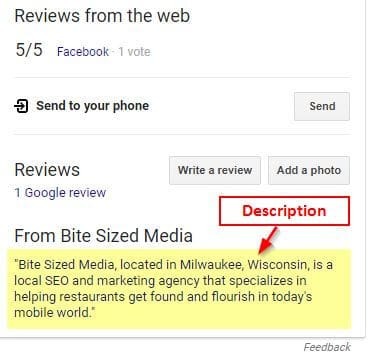 And because it’s a recently new development by Google My Business, features like this often go underutilized unless its a major contributor to the local ranking factors. But, that doesn’t mean it won’t matter later and help you out with other things. GMB now allows you to add a business description to your listing. It will look like the image below saying “from [your company-name]”. Having a description is essential. Not just for marketing, but for a robust listing. Make sure you take advantage of this useful feature and add a sentence or two on why customers should work with you. Adding your operating hours is usually a no-brainer. You set when you open, you sest when you close. One thing people often forget about, however, is setting up their holiday hours in Google My Business. Selecting the correct categories (or categories at all), is hugely important to optimize your GMB listing for success. In fact, it’s part of the #1 local ranking factors to get in the local pack (19%) and 7% for the localized organic ranking factors. And you’ll want to make sure you check this one, too. By default, sometimes Google does not have an accurate category assigned to your listing. 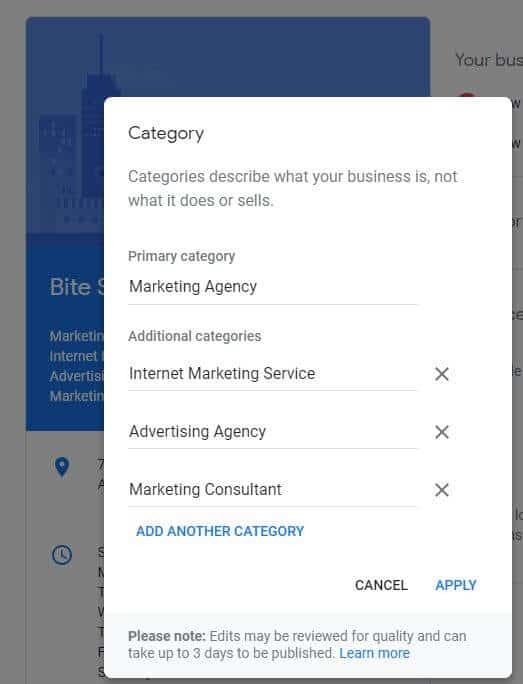 With Google My Business, you have up to five categories you can use to classify your business. Take this opportunity to choose the most descriptive categories for your business like we have done for our own site in the screenshot below. Google is helpful in that it will suggest categories for you when you start typing things like marketing, restaurant, etc. 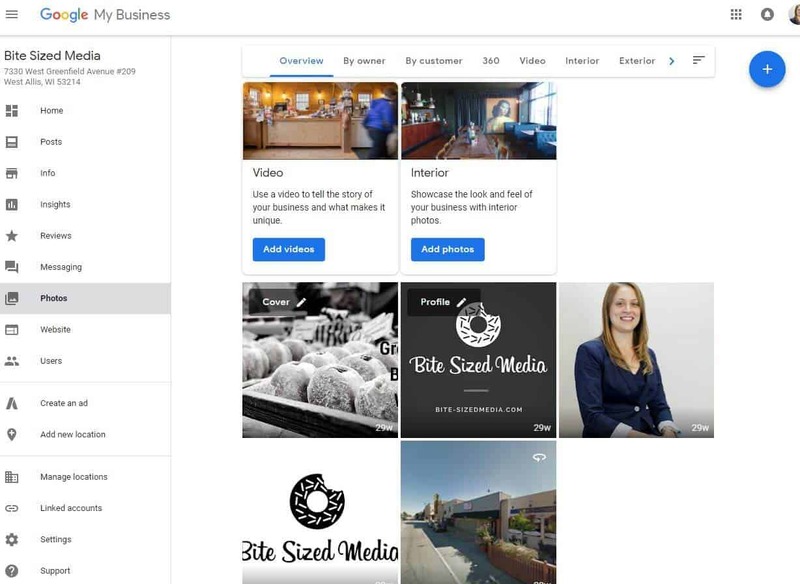 Adding photos and videos to your Google My Business listing is often an oversight by many, for the simple fact that it takes a little bit of elbow grease to find some decent photos to add to your listing. Take this opportunity to find at least 3-5 photos to add to your listing and a video or two to give an overview of you as a company. After all, these features act as your local search sales rep. 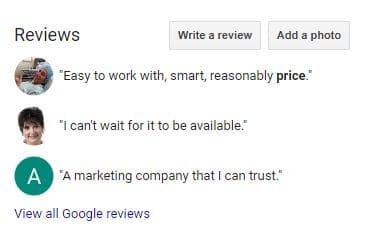 While obtaining more Google Reviews won’t necessarily get your listing to rank much higher. Review signals accounted for 13% and 7%, respectively, in the 2017 Moz ranking factor study, so it’s good best practice to incorporate getting them in your overall review/local SEO/reputation management strategy. The more, the better, as long as they are legitimate and you don’t acquire them too quickly (so Google doesn’t think its unnatural). If you need additional help beyond this blog post, there are some options for you. You can visit the Google My Business resource center to learn more about managing your business information on Google. 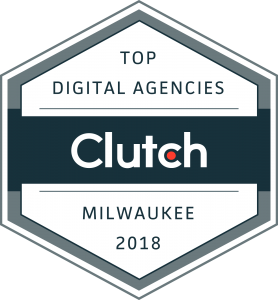 If you’re still not sure where to start, or don’t have the time to address, ask us about our local SEO services and local SEO audits that we can do to help.